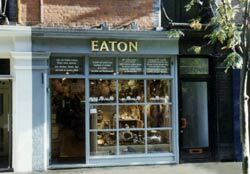 Eaton's shop in central London has long been synonymous with unusual, high quality natural goods for over half a century. Back in 1938 Frederick Mayer an Austrian businessman of Jewish decent, fleeing from Nazi oppression, settled in England and founded the Eaton Bag Company, a business specialising in natural materials, especially of raffia and made into household articles like mirror frames, bags, beach shoes, table mats and lampshade bases etc. He wanted to call his new company something typically British and thought of Eton - after the famed college. However, due to a spelling error, Eaton became the name that was to become familiar with many over the years. Commencing in wholesaling from premises in Bateman Street, Soho, just after the War, Eaton Bag Co. moved to a retail shop (with basement and upper floors) in the late 1940's, in Manette Street, Soho, off Charing Cross Road. Eatons, however still continues to trade, although on a smaller scale. 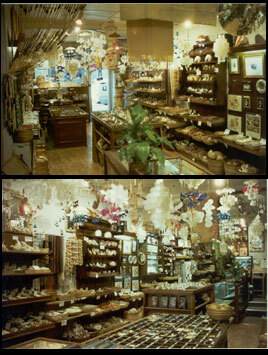 Thanks to modern computer-age technology, you can still visit us and discover an exciting selection of common to rare seashells and also mother of pearl. 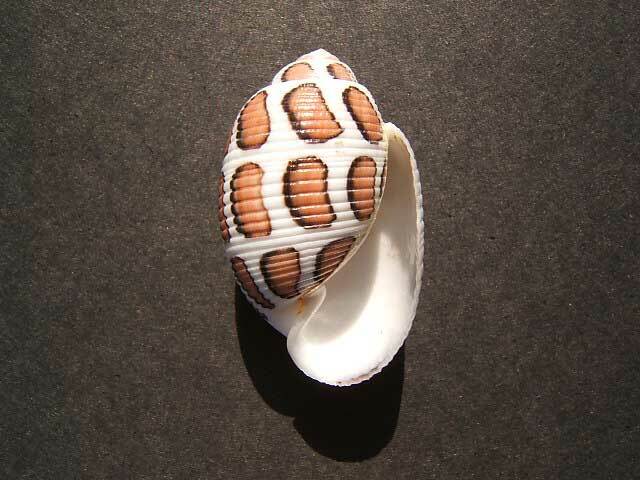 In the mid 1950's, seashells were introduced into the already widening variety of goods on sale - a gamble for Mayer - but it paid off and they soon became very popular, both with collectors and laymen alike. 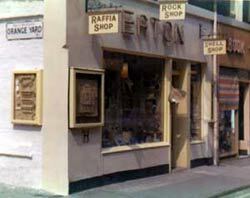 Thus a subsidiary of Eaton Bag Co, Eaton's Shell Shop was born - still under the same roof - and within another 10 years or so, minerals, crystals and fossils were being sold too. A truly exciting range of natural goods, not found elsewhere, were available in a small but unique shop. At the height of popularity, Eaton's boasted a range of such things as rare and common seashells, related marine curios, minerals, crystals, cut and polished stones, insects in amber and meteorites exclusive hand-made jewellery of amber, corals opal,etc, Also to be found were a selection of natural woven materials of raffia, rush, grass, reed, bamboo, various canes and straw hats, etc. Made to measure bamboo stick blinds and door curtains were also manufactured on the premises. We were most probably the only UK outlet for woven 'Tapa' (tree bark) cloth from Fiji for many years. Amongst its many thousands of clients were serious collectors, scientists, artists, designers, interior décor and advertising companies, television, film and theatrical prop buyers and a host of people who looked for that special gift that no-one else could provide. Regrettably, due to property speculators, Eaton's little shop, a "treasure trove" for visitors from both home and overseas which became something of a London institution, was forced to close in 1989. A larger new shop premises was leased in Neal Street, Covent Garden where once again clients new and old found the same unique selection of goods on sale. The business closed its retail showroom in December 1996 - much to the shock and dismay of its committed clientele.